Maxie Heating & Cooling is proud to serve the Mount Royal community! About Mount Royal, NJ - Happy to be your hometown Heating & Air Conditioning Contractor! Mount Royal is a small area in New Jersey. Home to around 1,000 residents, it is a close-knit family-oriented community full of charm and history. The town dates back to around 1650. 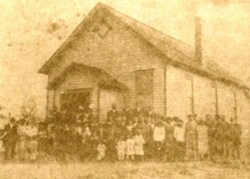 Angel Visit Baptist Church was constructed in 1904. Mount Royal School dates back to the late 1800s. Education services are provided by the East Greenwich Township School District and the Kingsway Regional School District. The climate of Mount Royal is extremely comfortable and the atmosphere is enjoyable most months of the year. Summers are warm to hot and winter is cold making it a great getaway spot.